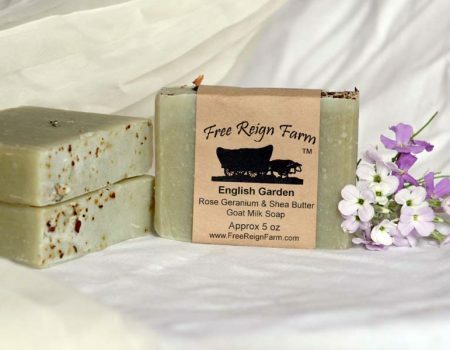 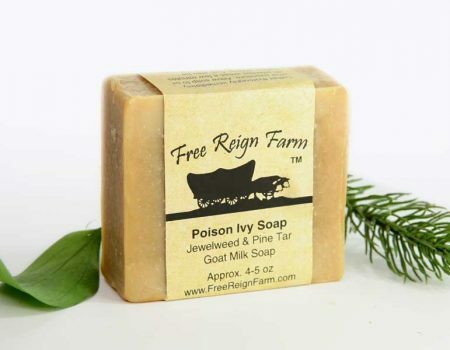 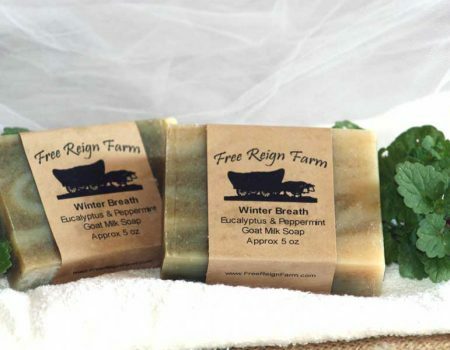 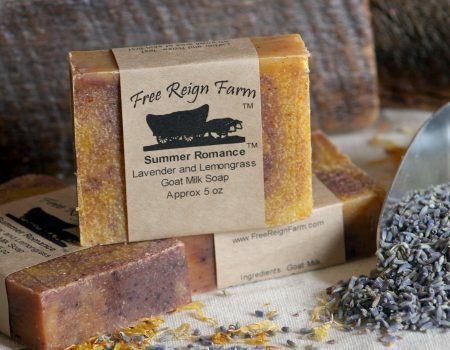 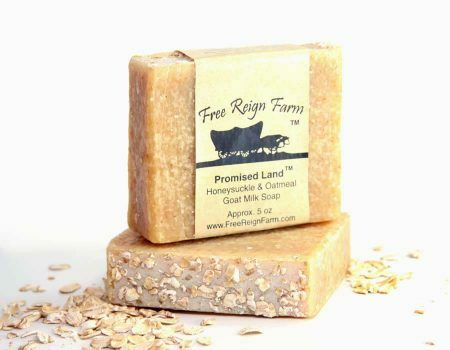 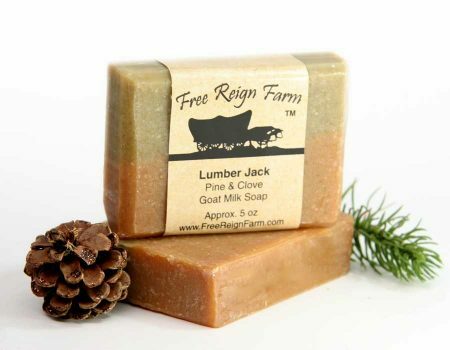 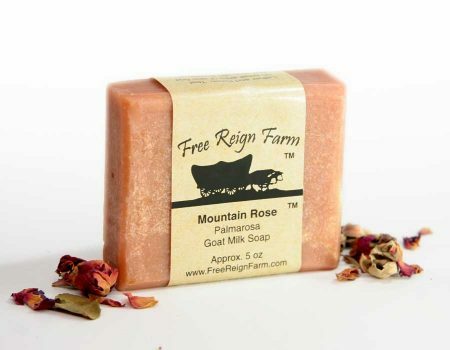 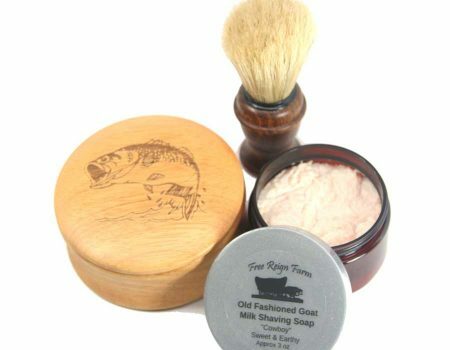 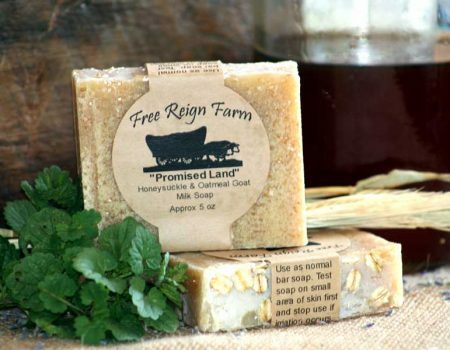 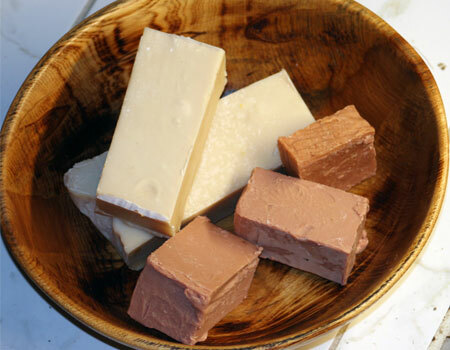 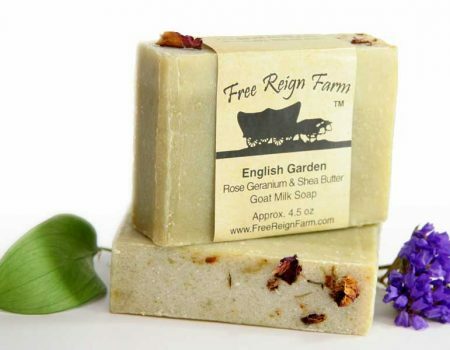 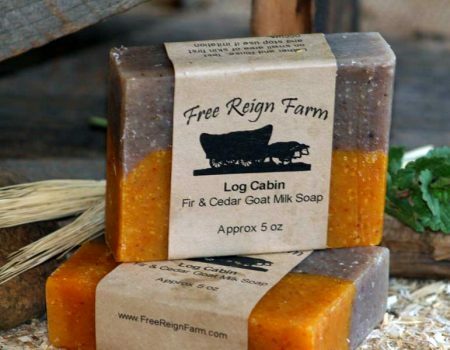 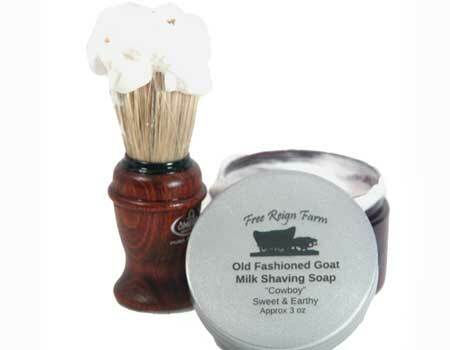 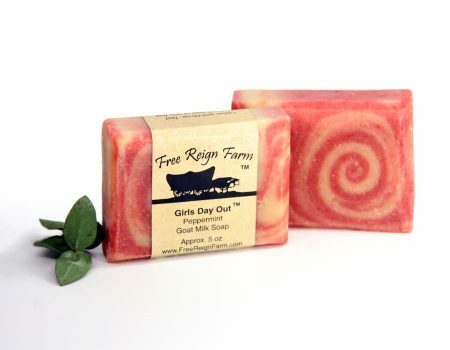 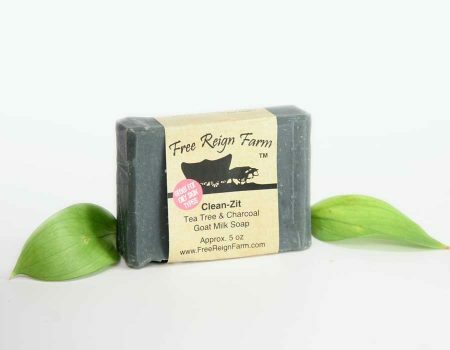 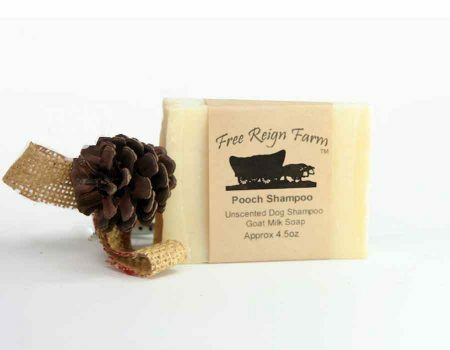 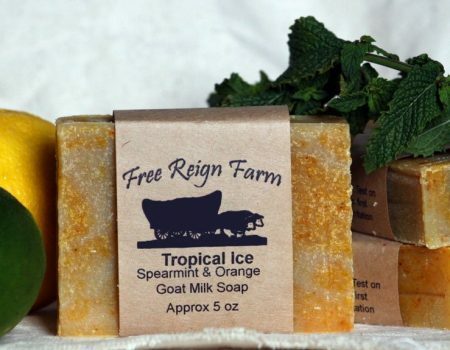 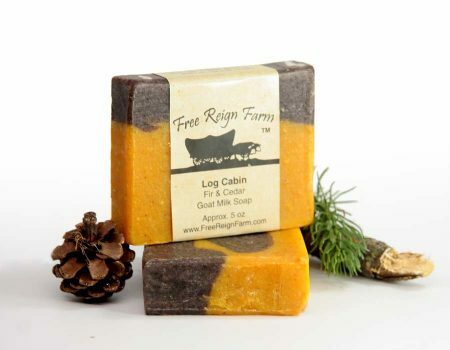 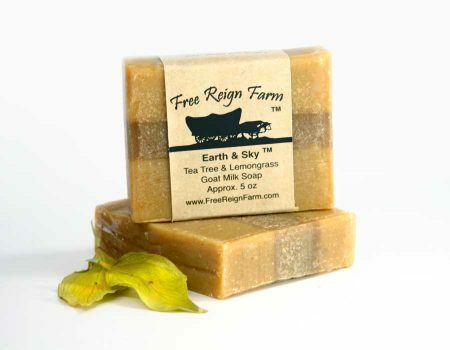 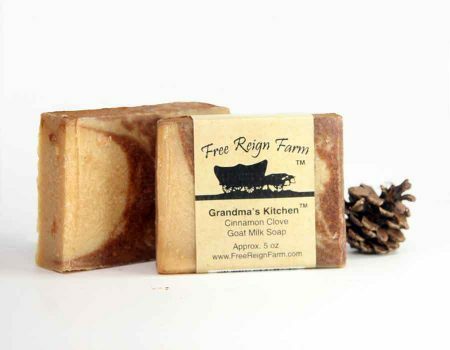 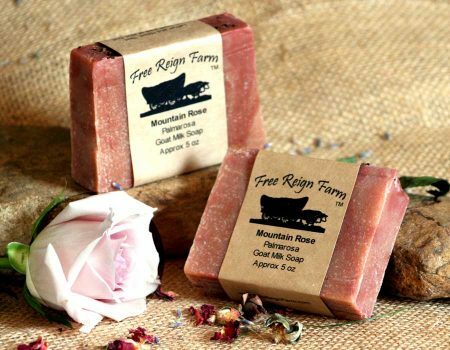 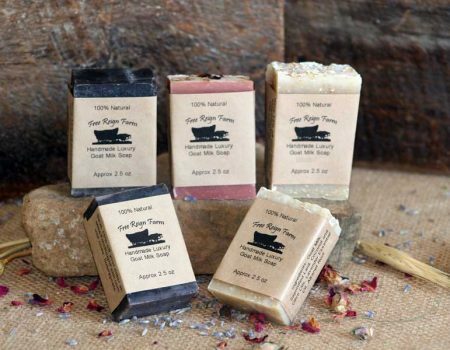 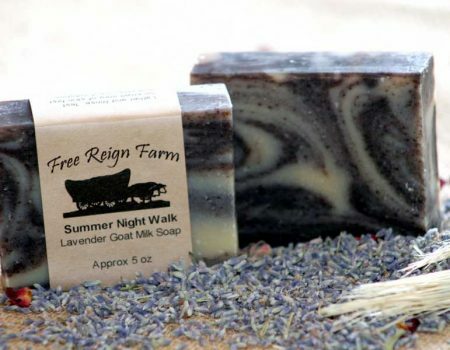 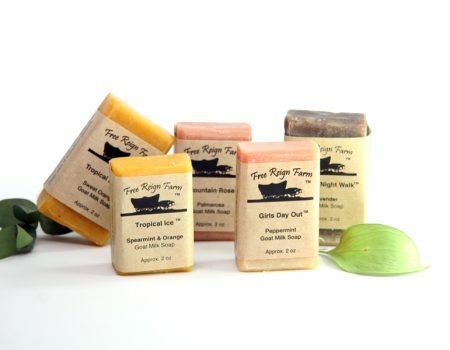 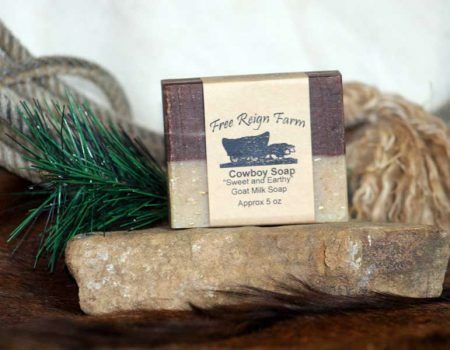 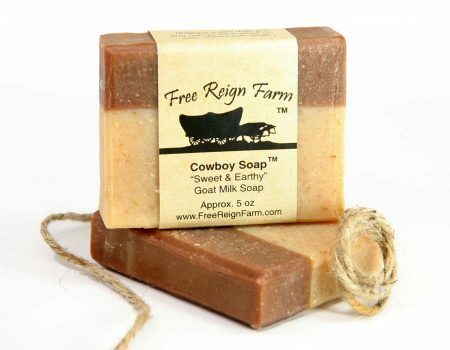 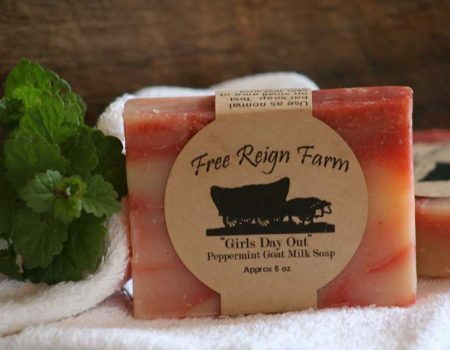 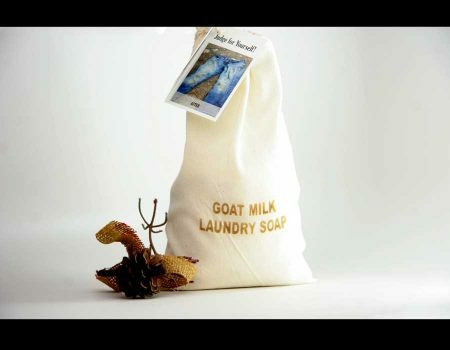 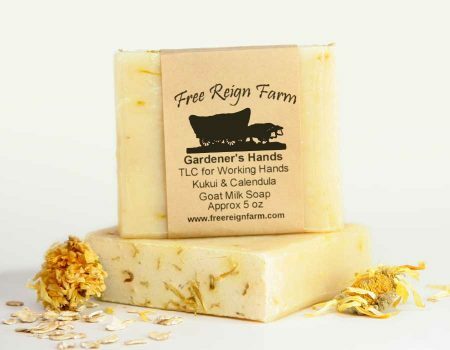 Welcome to the Free Reign Farm Goat Milk Soap page, where you are sure to find the perfect soap just for you. 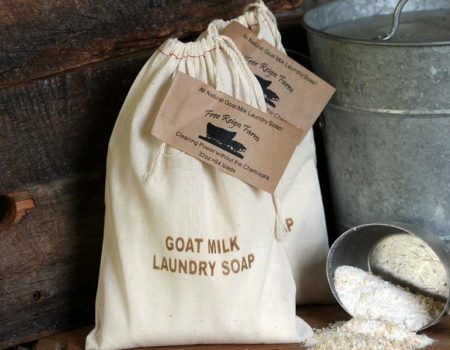 But first, a few things we think you should know. 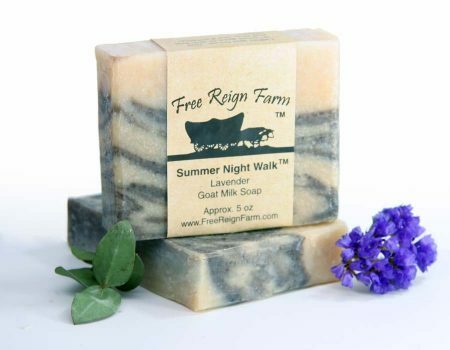 Scent: all of our soaps are made with pure essential oils distributed by a French company to ensure the highest quality standards are met. 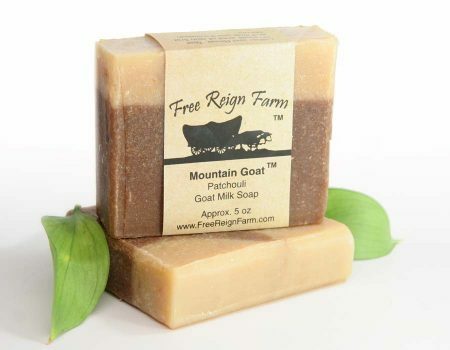 Soothing Quality: all of our soaps are made with 3x the amount of goat milk compared to the average goat milk soap company (36% to be exact – this makes goat milk our #1 ingredient). 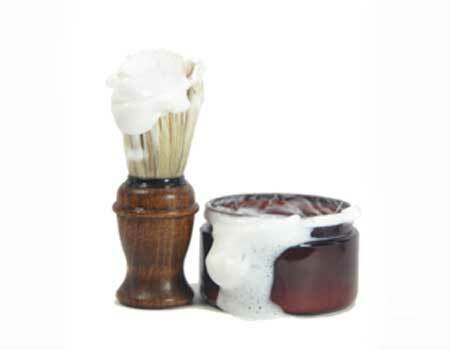 The advantage is a huge moisturizing boost for your skin. 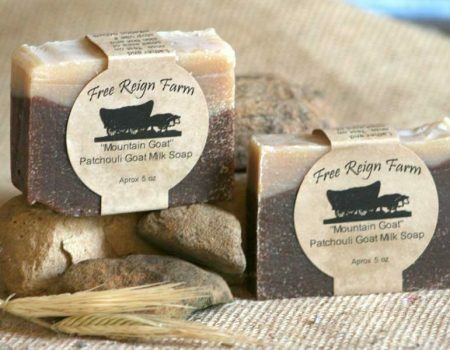 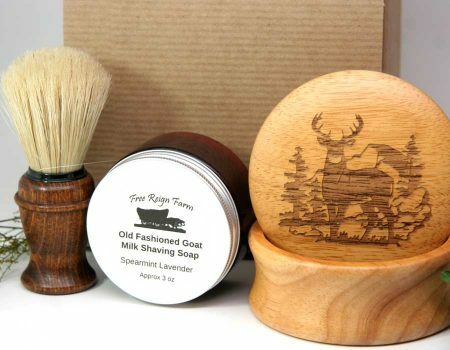 Savings: These goat milk soaps are made with practical living in mind. 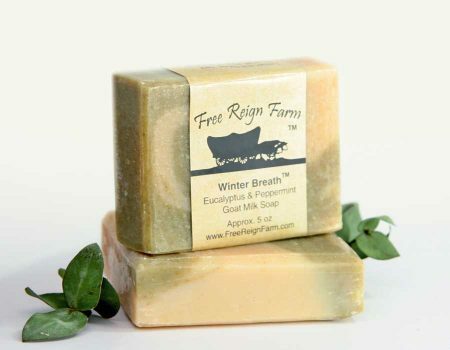 No one likes to see their soap melt away after just a few uses. 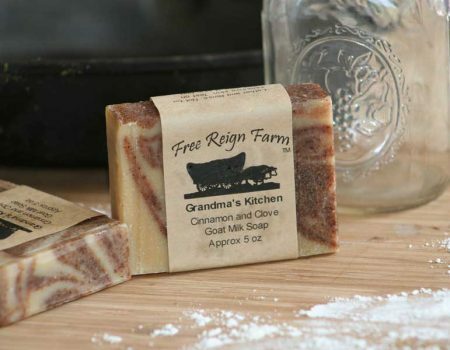 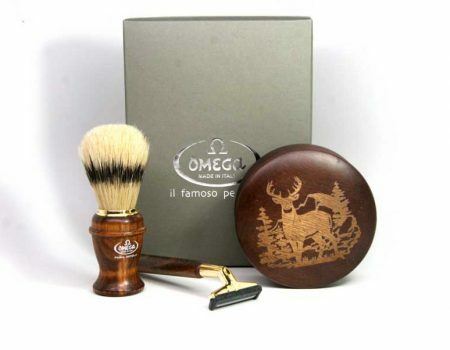 You will be pleasantly surprised when you find out just how long these soaps last. 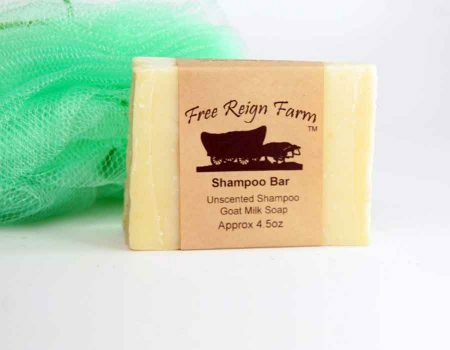 Our average customer is able to get 30-40 showers (4-5 weeks) out of each bar. 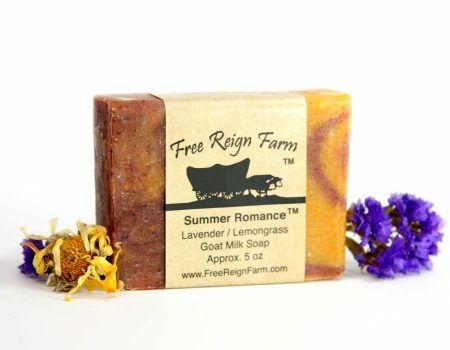 If you have read this far, we have some more savings for you. 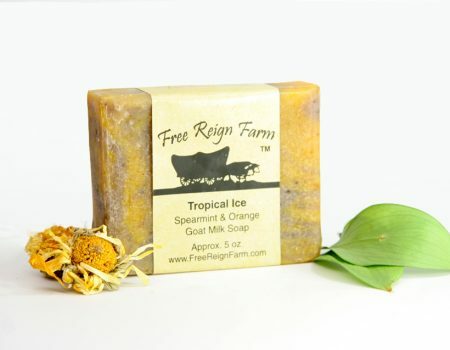 We are sneaking in a 10% discount code that you may use on your purchase with us today. 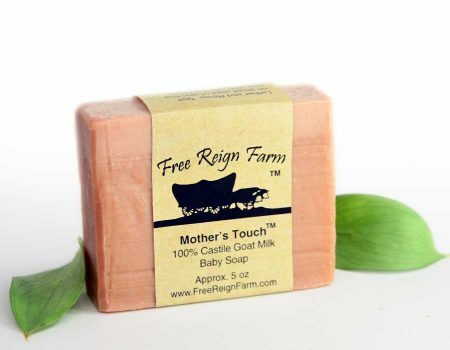 Simply enter welcome10 at checkout. 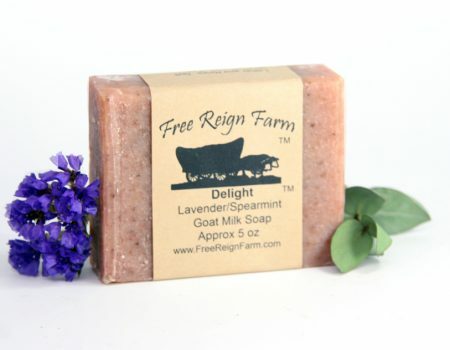 Thank you for visiting Free Reign Farm! 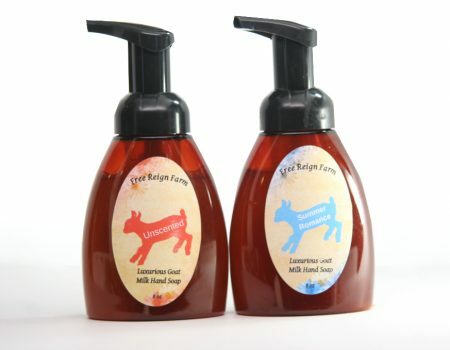 Get your Lather even Faster!